Most practice owners don’t have a written business plan and written budgets. They may be looking at numbers but they don’t concretely set targets like they do for the patients that they treat. Chuck Felder of HCS Consulting says it’s important to create business plans and budgets to keep you and your team rowing in the same direction, having that alignment, teamwork, and cooperative mindset. How can they make decisions and focus their time if they don’t know what the goals of the company are and how they fit into it? Simple plans and goals keep you unified and maintaining proper budgets gives you the power to actually predict your profits in the future. Who wouldn’t want that? Take the time to monitor and follow these three things on a regular basis – KPIs, business plan, and budget – and you’re on your way to maintaining a healthy, successful business. 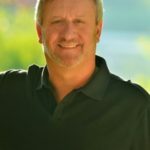 This episode is a continuation of an interview that I did with Chuck Felder of HCS Consulting, Inc. In part one, we talked about KPIs, the Key Performance Indicators of a physical therapy clinic. In part two, we’re going to talk about creating a business plan, which a majority of any entrepreneur organization doesn’t have and also the budgets that are related to physical therapy clinics. In part one, we did cover a little bit of the financials related to physical therapy clinics, but in this part two, we’re going to talk more in general terms about what you need to see in your budgets, creating one, and going forward for your physical therapy clinic. After this one, make sure you go back and listen to part one if you didn’t. Between these two episodes, there’s a lot to learn from Chuck Felder. We’re back with part two of my interview with Chuck Felder of HCS Consulting, Inc. In the first episode, we talked about KPIs and their importance. We talked a little bit about financials and importance of knowing your financials and essentially the dashboard and the health of your clinic. 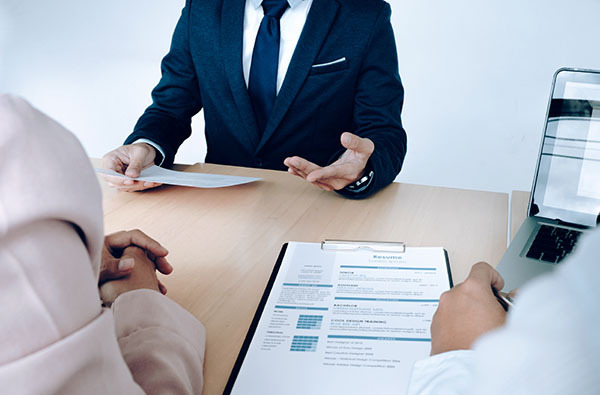 Now, we want to talk a little bit more specifically about creating business plans, which are important no matter where you are in the development and growth of your clinic and also about budget-specific to physical therapy practices. Thanks again for joining me, Chuck. I appreciate your time. I’m happy to be here. Hopefully, this information will help people manage their businesses better. You have a wealth of information because I know that you’ve gotten data and information from hundreds and hundreds of clinics and worked with many practitioners on their individual practices. In general, you brought this up when I talked to you before interviewing you for the podcast. The three things that you wanted to touch on, number one, was KPIs that we went over last time. On this episode, we want to talk about business plans and budgets. What do you typically see from physical therapy owners in terms of how good are their business plans and what do their budgets look like? I’m assuming it’s not too good considering these are two of the key factors you wanted to talk about. Most practice owners don’t have a written business plan and that’s true of most small business owners, not isolated to PTs. They don’t have written budgets. They may be going appeal, and they may be looking at numbers but they don’t concretely set targets like they do for the patients that they treat and they set targets every time they treat them. It’s important to set a business plan. I also think it’s daunting to write a business plan if you’ve never done one before and if you’re looking at it. The stuff I went through with my MBA program was pretty crazy and overkill for the average practice. Anybody that has less than ten locations, those things are probably overkill. You start getting into the 20, 30, 40, 50 locations, then you probably need to spend more energy on this even. The small businesses can do well with a simple plan. 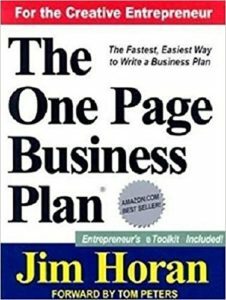 Then I got introduced to a program called The One Page Business Plan developed by Jim Horan out of the San Francisco Area, Berkeley. He was a CFO for corporations and then he left the corporate world and became a Rent-a-CFO. During that time when he was doing that, he would always talk to the people about their business when he got there. He found that most of the people, even from the C-Suite on down, didn’t have a good clear understanding of what the goals were of the business, where they were headed, what their role was, etc. He developed this One Page Business Plan concept, which is incredibly powerful and it helps you think about your business, but not spend too much time doing it. One of the key things that he developed in the One Page Plan was you’ve got five questions, five key areas that he thinks are critical for any business plan. There’s also no clear definition of what each one of those parts are. His answer was, “Let’s make a question out of it,” so the first area is the vision. The question is what are we building? Where do we want to be in three years, in five years? What are we building here? What is our business? He’s got very specific points for that. The next question is the mission. Why do we exist? What’s the focus of this business? Why do we get out of bed in the morning to come here? What do we do? What’s our mission? We have the objectives. Those are what results we are going to measure in the KPI thing we were talking about doing monthly measurements. We want to know what results we’re going to measure and these are all very specific numerical things that we can measure and we can chart on a monthly basis. Your objective is not hire new staff member. Your objective is have 40 new evals every month, have 180 visits every month. There’s a number to it and you can chart it. That’s your objectives and there’s a specific formula for writing those. We have strategies. This answers the question of how are we going to build the company? What things are we going to do to help build this company? Our vision is three to five years, the mission is timeless. The objectives are what are we going to do in the next year? That’s our target. The strategies are general statements about how we’re going to build the business. We’re going to grow our visits by marketing, by word of mouth and by providing excellent care. We’re going to have three hows, or what we call H2s, how to do it. We’re going to have strategies and for every objective, we’re going to have at least one strategy that supports that objective. That way we have linkage between what we’re doing to grow the business versus what we’re measuring. We said we’re going to measure income. I always measure new patient visits, income and profit. Always measure those. There are other things from there we go, but if we’re going to grow income and we don’t have a strategy on how we’re going to grow income, we’re in trouble. You have to have linkage. The last area is plans. What are the plans? What’s the work that needs to be done? We’re talking about big things. We’re not talking about a task list, a to-do list. We’re talking about, “We need to hire a new administration person.” “No, we need to have a staff retention and growth policy and procedure. We need to build out something.” Sometimes we talked about this and we say, “If there aren’t at least ten steps to it, it’s probably not a plan. It’s probably a to-do.” You think of those things. It’s critical to answer those five questions. When you’re talking about plans and timeframes, plans are usually what you’re going to be doing in the next quarter, the next year or depends on the objectives that you set for it? We never have a problem figuring out what we need to do, but we always try to do everything now. One of the key things in the plans in the One Page System is you schedule them out over the coming year. You can’t do everything at once. You have limited resources, you have limited time so you schedule them out over the next four quarters. We schedule them, we do a specific target date and we list who the champion is of that plan. It doesn’t always have to be the owner. It may be delegated to somebody. You do progress reports on how we’re doing on moving that thing along. You look at your strategies, you look at your objectives, you look at the plans and you prioritize them. You have to prioritize them and put them in a sequence where you can say, “This is the most important thing for me to do now.” You try to accomplish one and move your way along. That’s the critical piece. We never have a problem figuring out what we need to do, but we always try to do everything now. For those people who have managers, executive teams, vice presidents, whatever you want to call them, if they have someone in an executive level functioning with them, do you recommend they be a part of this One Page Business Plan process as well? The One Page process, we usually do it even if there are multiple partners, we usually get one partner to work with on it. When we’re done with it, we’ve now got the final draft. Then we go to the other partner and/or key people in the business and in fact we’ve been in getting them to give us feedback all along as we do the coaching. When I do this with people, they do a 90-minute session on their own on some software that the One Page Plan has. We get together for a 90-minute coaching session. They do some work and then we get together again. They do some work and then we get together again over the course of three weeks. We keep it rolling. By the end of that month, you have a finalized plan. In between each one, you’re talking to your key people and getting feedback on the different pieces of it. Then when you get to your plans, you now know who you need to help and you do different things. It doesn’t even have to be an executive person. It could be you want to improve the efficiency of the front desk, so you hand that over to the front desk person. It’s their job to put that together, fix it and report back to you. You decide who the champion is and you give that person the appropriate resources. I take this whole plan and after you’ve put it together, you have a full company staff meeting and you present it to everybody. Everybody from the newest age you just hired to the longest standing employee you have. You sit down with all of them like, “Here’s where we’re going. Here’s what we’re doing.” You may sanitize pieces of it. You may not want them to know what your profit target is, certain numbers or things. You can sanitize it if you want to. As long as you put it in the right context, people will take it appropriately. bus is headed. You get the right people on the bus and you get them in the right seats. That’s critical to getting the business to function properly and even more so in a small practice. You have two therapists, one admin person and if they all don’t know what’s going on, you got a problem. As you get bigger, you can lose that too. You can’t do the walk around managing anymore. You have to manage people differently. It’s important that everybody understands this. They know what their role is and they know how to contribute to it. A lot of times, we take it upon ourselves to think that we’re the only ones that can be the source of action or the only person that can cause any changes in our clinics for the better. When we have a team, we need to use them. We need to have these meetings and share with them our visions, goals, and the why. Why did you start a practice to begin with? Know your purpose for doing this to begin with. What effect are we trying to create in the community, in this population that we’re working with? If everybody can remember, creating the vision, have a mission, have a why, determine what those key objectives are for the next year, sitting out strategies, how are we going to get these objectives done, and then creating a plan around that. Hopefully, people in our audience are implementing it in their own practices or have an idea how to answer these. Taking the time to think things out and determine where they want their businesses to go. It’s critical because you would never drive cross country without a map. You’ve got to run your practice with a map and this is the map. It gives you an idea. As people start doing these things, they’re going to see some rather immediate positive effects come of it. Have you seen that in your experience? Every time you start to put this stuff down, you put a budget together and you talk about putting a budget together and people hold up, cross fingers to you and like, “Stay away from me, you evil thing.” I’m like, “No. It’s not that big a deal and recognize that none of it is casts in stone.” It’s an idea for you to use, guide and take you along. As soon as you put those targets up there, human nature takes over. You not only meet those targets, you exceed them. The question is how big are you setting your goals? As I work with different people, it depends on their personal preference. Some people set goals that are easily attained and that’s the way they like to do it. Some people like to set the BHAGs, stands for Big Hairy Audacious Goal. Your practice has been at $500,000 a year. A BHAG would be, “We want to be a $2 million in two years,” that’s a BHAG. Sometimes that’s what you need to do. You need to set some big, hairy goals and they drive you to change things and to make everything better. Talk to us then a little bit about budgets. What do you see that physical therapy clinic owners need to do and how do they need to appropriately budget for the running of their practices? Developing a budget is not a difficult process. If you’re using QuickBooks now, you can develop a budget simply by telling QuickBooks to create a budget for you for the coming year based on what you did last year and you can go in and tweak it. That’s a simple format. You can have your CPA do that if you don’t know how to use QuickBooks. Your CPA or your bookkeeper can do it for you. I prefer to be a little more intentional on developing my budget. I have a budget tool that I use. I do a budget webinar every fall to help people prepare their budget for the coming year. We do an analysis. We look at not only your financials, but we look at a couple of these key metrics, primarily new patients’ visits. We can do calculations and we can tie those key metrics into your financial performance. The focus of starting the budget is looking at your staff because they’re your biggest expense. We look at the staff, we see where that’s going to go. We look at what we’ve done in the first nine or ten months of the previous year. We’re going to do this in September, October, November and we’re going to use the first nine months data or ten months data to help us project. Developing a budget is not a difficult process. I can remember myself some five, eight years ago thinking about looking over some of my financials and creating a budget. What I finally decided to do is that I talked to my CPA and I said, “I need to know these things. I need you to sit down with me for an hour each month and show me my numbers. Show me what a PNL is, and talk about the budget and create it and where I’m spending my money. What my profit levels are.” I say this simply because a lot of times we don’t ask those professionals that we have access to provide us support and help. If you’re thinking, “Chuck says it’s easy, but I don’t know my way around QuickBooks,” that’s fine. Just reach out to the professionals nearest you, your bookkeeper or your CPA and have them walk you through it and show you what they need to do to create a budget and review it every month. Asking them to do that shouldn’t be anything out of the ordinary for most of their clients, but we simply don’t ask for that from those professional resources when we could and it would benefit us a lot if we did. Most of them will be happy that you asked and that you’re interested in doing that because most of their clients don’t. They see them not doing as well as they could. They don’t see it as their place to tell you that. It’s important for you to ask and be open to their feedback. If your CPA doesn’t want to do it, find a consultant that’ll do it. If you feel more comfortable, there are multiple consultants in our industry that you could hook up with to give you feedback. There are lots of resources available to you to get this help. I encourage you to do it and recognize you don’t have to do it all. I agree completely. If you’re like me, one April your CPA comes back and says, “You owe such and such thousands of dollars for taxes. I hope you have some extra cash in your bank account.” Sometimes those monthly meetings help avoid that tax bill that comes due and you plan ahead of time. They definitely help avoid that. Those estimated taxes will get you if you’re not keeping track of it and monitoring what’s going on. That is a critical piece. If you have multiple offices, every office needs to have its own budget. Ideally, they have their own business plan. It may be the company business plan just tweaking some of the numbers, but they should have their own. If you have a true manager of that location, they’re the one that’s responsible for doing that and making sure they’re held accountable to it. That ultimately benefits the whole company. 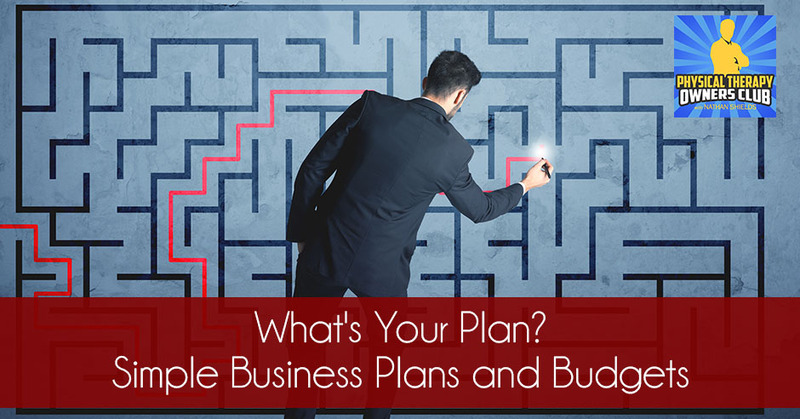 Business Plans And Budgets: Most practice owners don’t have a written business plan. You said you do a webinar on budgets every fall? Every fall, I do a webinar on budgets and I also do a group webinar on the business plan. It’s an inexpensive way for people to get exposed to doing the business plan versus hiring me or someone else full time to help you do a business plan. This gives you an introduction to it. How do people get on that webinar? They would just need to shoot me an email, so that I put them on my list and then they’ll get an email about it. We also talked a little bit about profit levels. What would you say if someone’s looking at their PNLs for the first time is a healthy profit level for them in the PT industry? You have to make sure you standardize it. That you’re paying the owner around that $102 level and that you are taking out owner perks that are in there. That’s between them and the IRS, whether that’s true business expense. You standardize all of that. If you’re under 10% profitability, you’re probably headed out of business. You’re not going to survive over time. If you’re between 10% and 20%, that’s pretty common. My benchmarking studies have shown those levels to be pretty common. The larger you get, you generally do a little bit higher percentage. If you’re over 20%, you’re managing your business well. If you’re over 30%, you either have ridiculously high paying contacts with your peers or you’re ridiculously efficient or you’re doing something inappropriately that’s generating more money than it should. It’s tricky to get over 30% profitability in our industry and be operating ethically and legally. You can do it, but it all depends on your payer mix and everything. A little aside, I wish that all of us would stop using the word reimbursement because we do not get reimbursed. We get paid for the services we provide, that reimbursement term goes back to when the patients used to pay us, then they would submit the bill to the insurance company, the insurance company would reimburse them. That’s reimbursement. We get paid by the insurance company, we don’t get reimbursed. If we got reimbursed, you’d get what you charged them, and we don’t get that. That’s an old term and a subservient term. I’d like to see us change that and use the term, what we get paid for our work. We talked about business plans and budgets. Anything more you want to add to that? I’ve got all this stuff to do on top of running my clinic and doing everything. My feedback would be number one is when you have a structure to it, you won’t feel as overwhelmed. You will tend to delegate more to people and they’ll be accountable for it because you have that structure. It’s important to realize that in the short-term, it may create more “work” for you. In the long-term, it’s going to create a much better situation for you. By long-term, I mean three months from now. I don’t mean five years from now. It’s going to make a change right away in your business when you develop these concepts. You can do it pretty quickly. It can be done in a month or two if you’re focused on it. Don’t be afraid of it. Don’t keep putting it in your, “I’ll do this someday list.” If you read Stephen Covey’s stuff, this is urgent and important. It’s in the number one box. The content almost isn’t important, but what’s important is the fact that we’re doing it. I talk frequently about stepping out, reaching out, and networking. This is the reaching out portion. You need to use the professionals that you have access to. That could be a CPA, but it could be a coach. There are tons of coaches like Chuck that are out there that can guide you through this because what it does look overwhelming, you’re going to tend to procrastinate and not do it. Simply making a call and investing the time and the money that it takes to organize your business, you’ll get a return on your investment for sure financially and in the time and energy that it takes to own and run your business. It’s going to be a great opportunity for you to gain the stability in your practice and the freedom that you’re looking for professionally and personally. Having that deadline, when I coach people, we meet monthly. We set appointments up a month or two in advance. We set up a 90-minute phone call and the fact that we have that appointment coming up, you tend to get things done before that because we each have a task list. You get it done. If you don’t have that appointment and that deadline, then pretty soon that thing you wanted to do over the next month is six months down the road and you haven’t even started it. Whether it’s hiring a coach, having somebody in your office, your spouse or your CPA, that you’re accountable to. If you’re the business owner, who are you accountable to? Who holds you accountable to do something? Usually, you don’t have anybody that’s holding you accountable. It’s important to have that. Often, the fact that we’re talking is the most important thing about the calls. The content almost isn’t important, what’s important is the fact that we’re doing it. Sometimes the content isn’t as important as the actions that we’re taking. Those actions typically get done a lot better when you have a deadline set to it. You’ve got to have that deadline and we all know that, apparently. We function better with deadlines, everybody does. Thank you so much, Chuck, for your time and your insight. I know that having gone through it myself, that if people take the time to create a plan and look at their budgets on a regular basis that they’re immediately going to see benefits in their business. It might not even be the three months that you’re talking about. If they simply start doing some of the little things, they’re going to see some quick turn around and some efficiencies take place in their businesses. I hope everyone takes advantage of that. 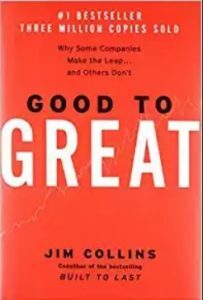 Also, consider the resources that we’ve talked about, whether it’s in The E-Myth books, Good To Great, The One Page Business Plan, The 4 Disciplines Of Execution. Those type of resources are also available to you, but a coach can definitely guide you in the best directions. Thanks a lot for your time, Chuck. We really appreciate it. You’re welcome. It’s great to talk to you. Thanks for listening to my interview with Chuck Felder, parts one and two. There was a lot to either refresh or learn from our discussions. By the way, if you haven’t done so already, please and we’ll see you next week.